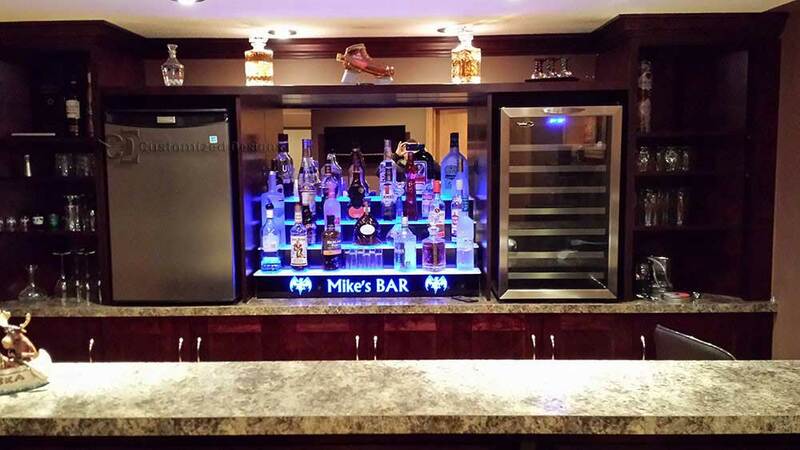 A great picture one of our customers sent us of their home bar set up. He requested we use the old style Bacardi bats for his bar display logo. Mike must have just liked bats because I don’t see any Bacardi on display!